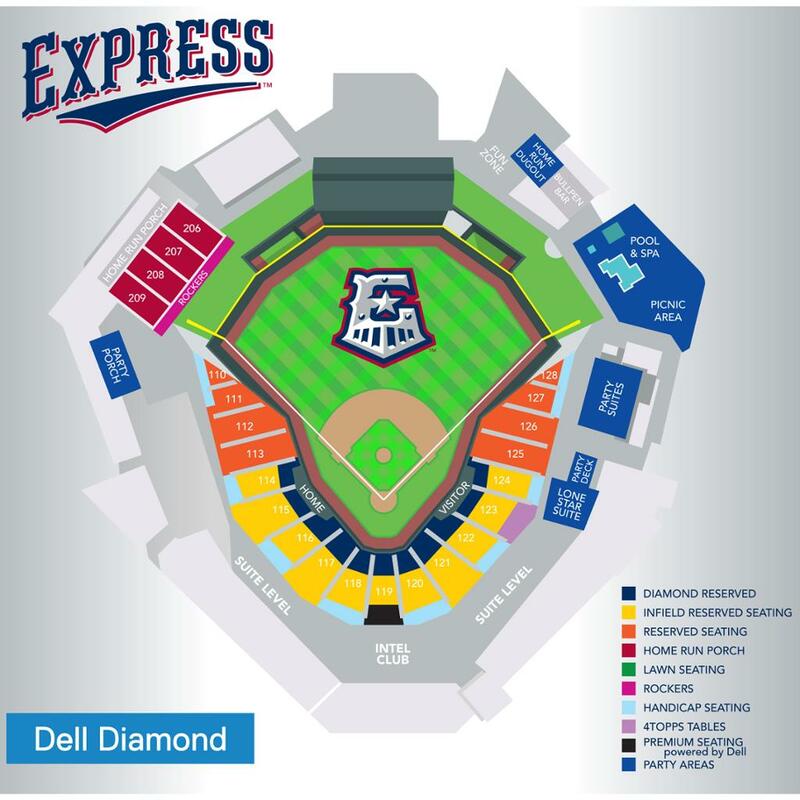 Interested in the aforementioned sections for groups or season ticket plans or in Round Rock Express party areas or Dell Premium Seating? Give us a call at 512-255-2255 ext. 1 or complete our Membership & Group Information Request Form.